An unexpected letter from her childhood friend Grace forces May to relive their extraordinary past and confront the events that drove them apart fifty years earlier. May’s father won the Diamond Anchor, a dilapidated pub perched on the ocean’s edge, in a game of cards – a gamble which positioned her at the heart of the close-knit community for seventy years, and gave her custody of its stories. Now, trying to maintain a careful balance between the demands of the collapsing building and her own solitary life, May must decide whether to reach out to Grace, whose health is fading, or let her go. 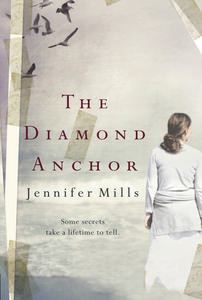 With all the humour and storytelling of small-town life, The Diamond Anchor is a brilliant tale of the places and relationships that define us.